Published: Jan. 10, 2015 at 10:58 p.m. 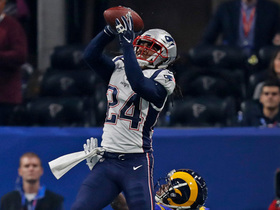 Updated: Jan. 11, 2015 at 10:50 a.m.
FOXBOROUGH, Mass. -- Not once but twice the Gillette Stadium crowd went silent. This is what happens when your team goes to four consecutive AFC Championship Games, as the New England Patriots are about to do. You expect something more than two 14-point deficits, more than your quarterback sitting on the bench with his head in his hands, more than the defense being gashed. What the Patriots fans, perhaps distracted by the bitter cold they were sitting in, forgot was that those things would undermine other teams beyond the point of recovery. 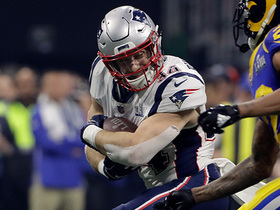 Because other teams don't unveil double passes -- executed by Julian Edelman, the former three-year collegiate starting quarterback who is now one of Tom Brady's favorite receivers -- that had been in the game plan all year, just waiting to be sprung when a favorable defense was called. 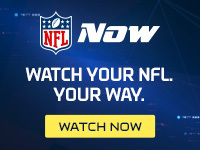 Other teams don't confuse the opponent by using just four offensive linemen for a series -- which sent Baltimore Ravens Coach John Harbaugh halfway onto the field, screaming his demand that the Ravens be allowed to substitute after officials ran through who was an ineligible receiver. Harbaugh later implied the deployment of personnel was improper, saying he expected the league to look at it. That elicited a comment from Brady that perhaps the Ravens have to study the rulebook to figure it out. "We obviously knew what we were doing," Brady said. The Patriots almost always do. Other teams don't have a quarterback like Brady, who can recover from a miserable interception, to throw a magnificent 23-yard touchdown pass in the back left corner to Brandon LaFell to give New England its first lead of the AFC Divisional game over the Ravens with just 5:13 remaining. Other teams don't intercept Joe Flacco in the playoffs -- at least not any other team since 2011 -- until the Patriots did it twice, including on the pass that all but ended the game, when Duron Harmon picked him off in the end zone. 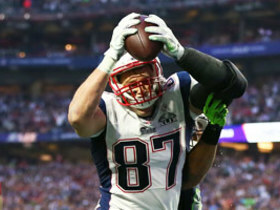 The Patriots did all of that Saturday -- the gorgeous and the unsightly -- in a 35-31 victory that, aside from becoming an instant classic, probably made one point more than any other: The Patriots, with a remarkable show of resilience, just survived what will likely be the toughest test they will face on their way to the Super Bowl, outmuscling and outhustling the most physically imposing team remaining in the AFC field. The Ravens' offensive and defensive lines blew the Patriots off the ball for much of the game. Flacco was not sacked and was rarely under duress. The Patriots abandoned the run completely in the second half, and then went to a quick passing game to keep the pass rush at bay. Whether the Denver Broncos or the Indianapolis Colts prevail Sunday to set up the meeting with the Patriots next weekend, both teams should know this -- the Patriots recognized they survived a mistake-riddled game to advance. "I'm not disappointed -- you kidding me?" Belichick said, before adding. "Down by 14 points twice -- I don't think that's a formula to win a lot of playoff games." Well, no. And that was the takeaway from the Patriots, who never celebrate even the most scintillating victories unless they come in the correct venue -- read: the Super Bowl. Brady has now made it to nine AFC Championship Games in the 13 seasons he has played, in a remarkable run of consistency that has practically numbed everyone to the Patriots' accomplishments; but that also renders even victories like this something of afterthoughts and allows the Patriots to recognize flaws in their performance that the scoreboard can't hide. This was, for the Patriots, a predictably difficult test from a team that historically gives them fits. 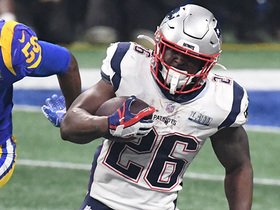 But to read New England's mood, it was merely a stepping stone, a dramatic one for sure, but just another playoff game it had to get through. Belichick said he liked this team's resilience, something which it first had to display early this season, when the offensive line was a jumble and New England started 2-2. The seeming inevitability of the Patriots' appearance in another AFC Championship didn't really take form until about two months ago. But to witness them pulling more ways to win out of their bag of tricks -- remember the time Jonas Gray (inactive Sunday) saved the season? -- is to be reminded that you can usually skip right over the regular-season angst with the Patriots and meet up with them some time in January when their real season starts. Vince Wilfork, the defensive tackle who has been through a few of these now, practically shrugged when asked about the overall play of the team. "It's the playoffs," he said. "Every game is going to be a tough game. I think tonight we showed just how tough this team really is. In a playoff game, being down 14-0, rallying with each other, making plays when we needed the plays." It is hard to imagine that either the Broncos or the Colts can give the Patriots more of a fight than the Ravens did. Neither is built to play the bruising style that the Ravens do and neither has the Ravens' track record of success in Foxborough, robbing them of the Ravens' sense that there is no reason to be intimidated here. That, of course, suggests that the Patriots will get another crack at another Super Bowl. That would presumably finally raise the temperature of the team. And maybe it would serve as a reminder to all of us -- the fans who always expect things to go smoothly because they almost always do, the pundits who find holes in even the most airtight mental toughness -- that the Patriots do things differently. It may not always look good. But they'll wait to judge the result until they see where the games end. And 14-point deficits don't mean the end. "We needed a lot of plays," Brady said. "We played from behind, which is not the way that we want to play. Playing these guys from ahead was the best way to play them -- and behind twice by 14 wasn't necessarily in the plans. It took a lot of good execution to overcome it. A lot of guys fought through -- a lot of mental toughness."